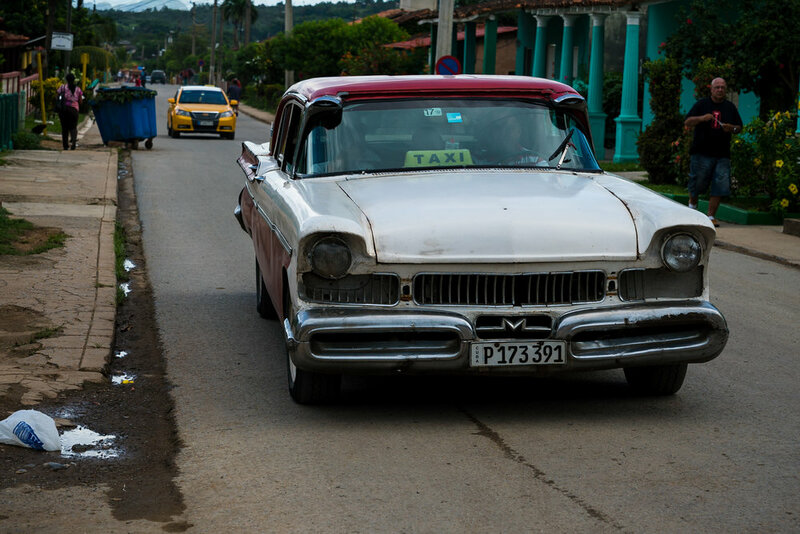 Ever wonder why there are so many 1950's cars in Cuba? Previous to 1959, due to the country being so close to the U.S., many Americans traveled to Cuba for vacation. They also brought with them about 150,000 American made cars over the following years so that they could keep them at their Cuban paradise. 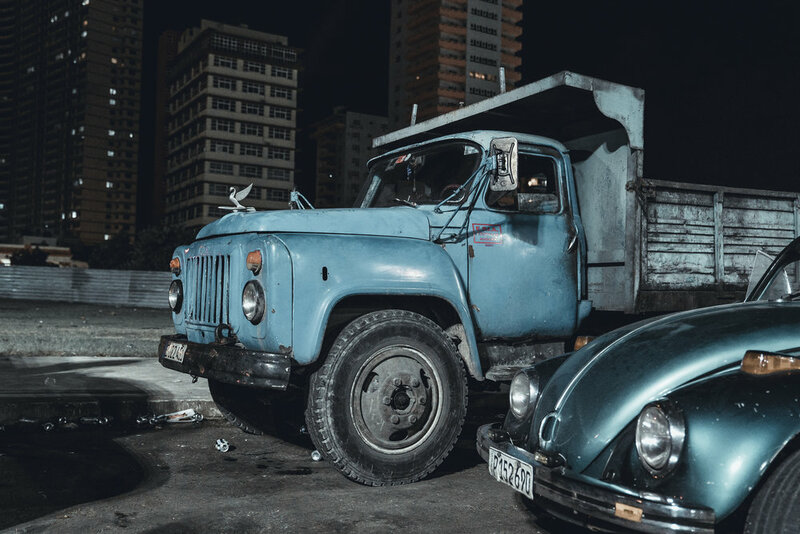 However, several thousand 1980 model vehicles were allowed in Cuba. Those cars, now used as taxis, are Russian made sedans as seen below. 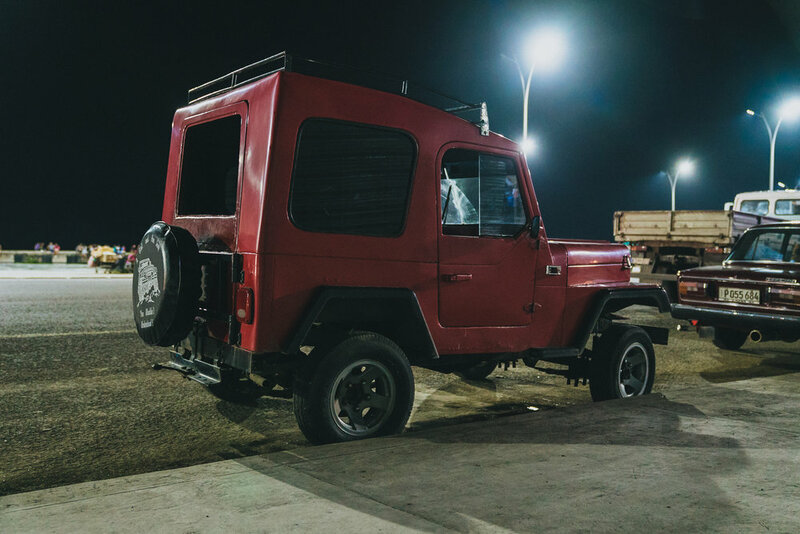 My son and I rode in the back seat of this vehicle on a two hour journey to the farmlands of Cuba. It was a long ride with no air conditioner that included one stop at a small rest area. 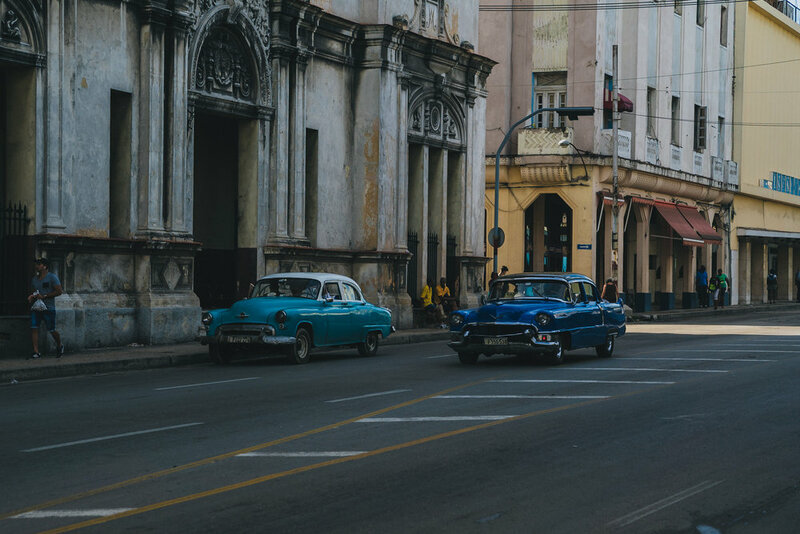 It wasn't until 2013 that the car import ban was lifted in Cuba. 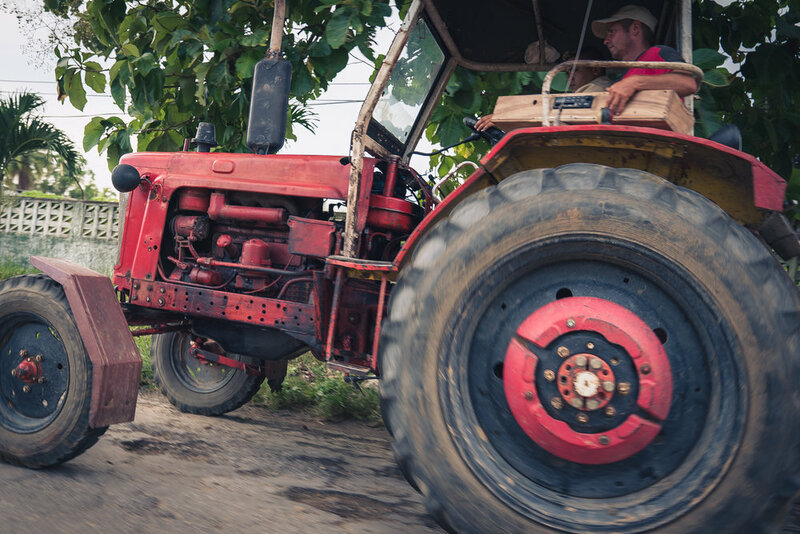 However, it does not equal a flood of vehicles as the equivalent to what maybe a $20,000 Honda Accord in America, would cost about $75,000 in Cuba today. With $300 being the monthly income of most, few cars will be purchased. 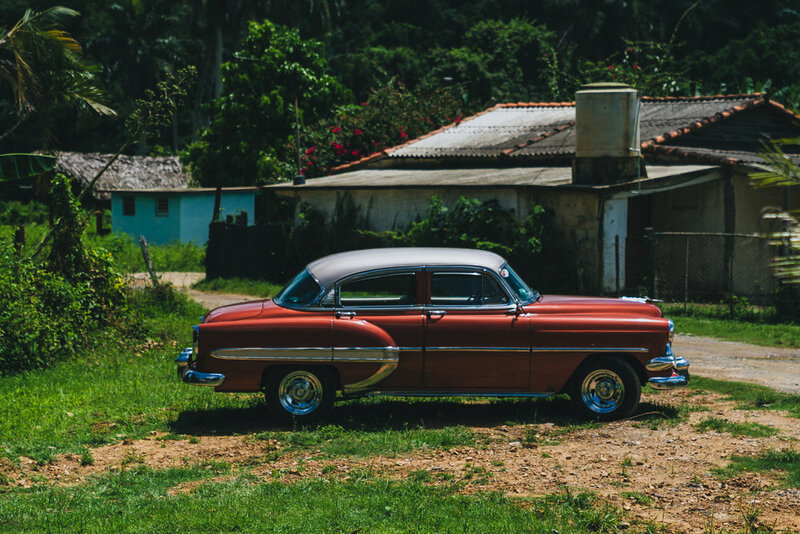 To top it off, loans to buy a car are unheard of in Cuba. 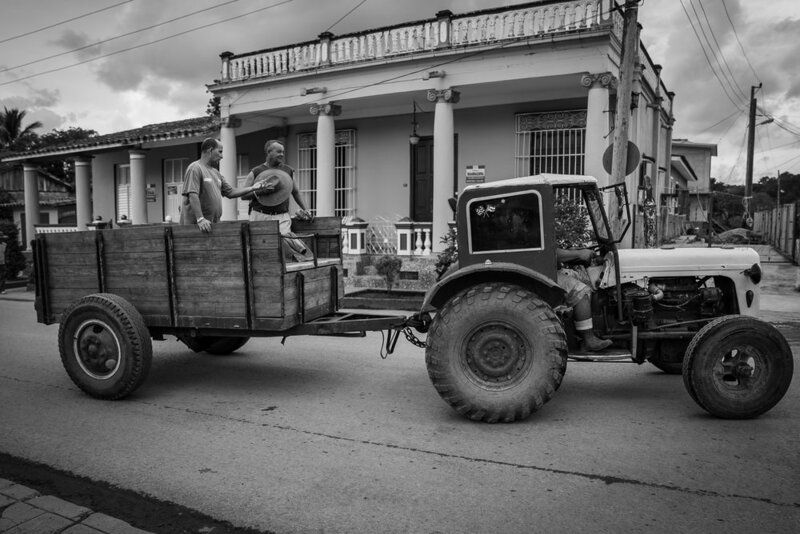 Loans in general are unheard of in Cuba. Currently, there are only about 60,000 cars for a population that has numbers over 11 million.